Hello hello! I'm rubbish I know... I thought I'd got this whole blogging thing sorted again but nope. It has been yet another crazy month as I started a part time job alongside my placement resulting in hardly any free time anddd this weekend my boyfriend moved to Plymouth! It's going to be so nice to have him in the same city rather than two hours away, even if it is only until September. Anyway, I may be excited about that but I have polish to talk about! I was sent some more beautiful creme polishes by Kat from Ard As Nails, this time in some lovely summery colours. Read on to find out more! 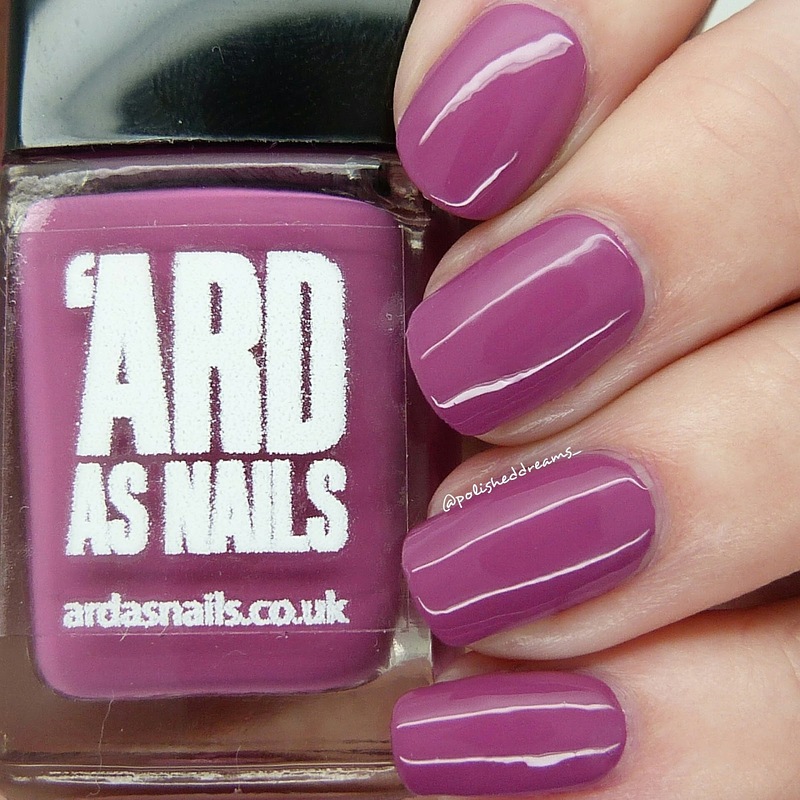 Lorna is a deep pink that almost borderlines on purple and is very pretty. 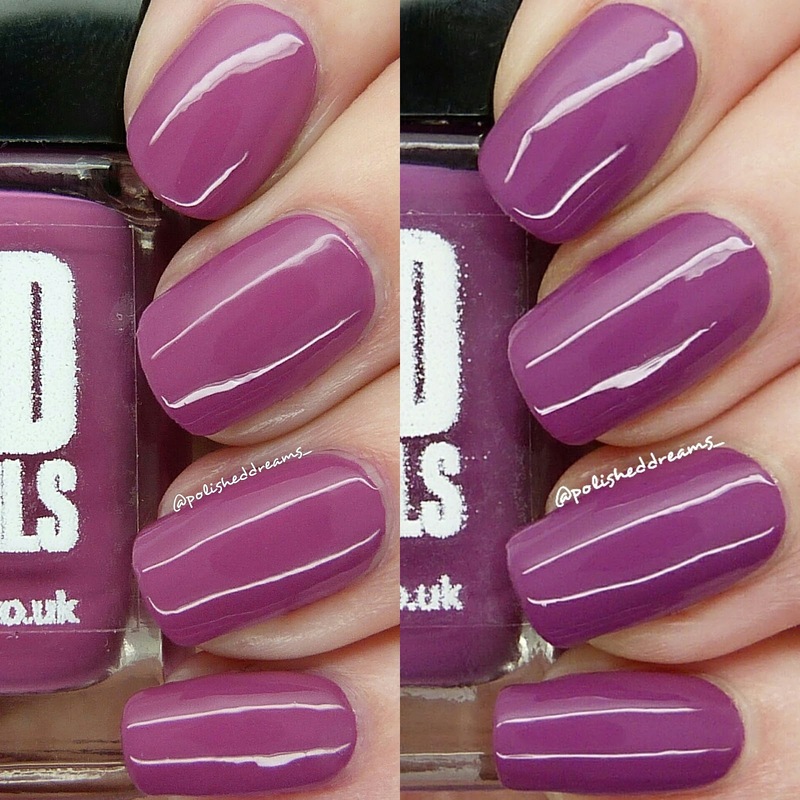 As with the previous cremes I was sent, this had a great formula and is shown here in two coats with topcoat. When I swatched this I had a bit of panic that it was the same as a previous one named Layla. Of course I dug out my swatch of that to compare and actually Lorna is much lighter and more pink. In my opinion they are definitely different enough to warrant having both and I love them! On the left is Lorna and on the right is Layla. Maya is a beautiful sky blue and I loved this as soon as I put it on. I was about to say that I really love all light blues but then realised I actually just like all blues haha! Yet again this had another lovely formula, not too thick or thin, making it nice and easy to apply. Despite being a light colour this covered well and was opaque in two coats. Shown below with topcoat. This super pretty peach pink shade is Angie. This is actually a shade I really love but don't own that many at all of so I'm definitely happy to be adding this to my collection. It had a lovely formula and is pictured below with two coats and topcoat. 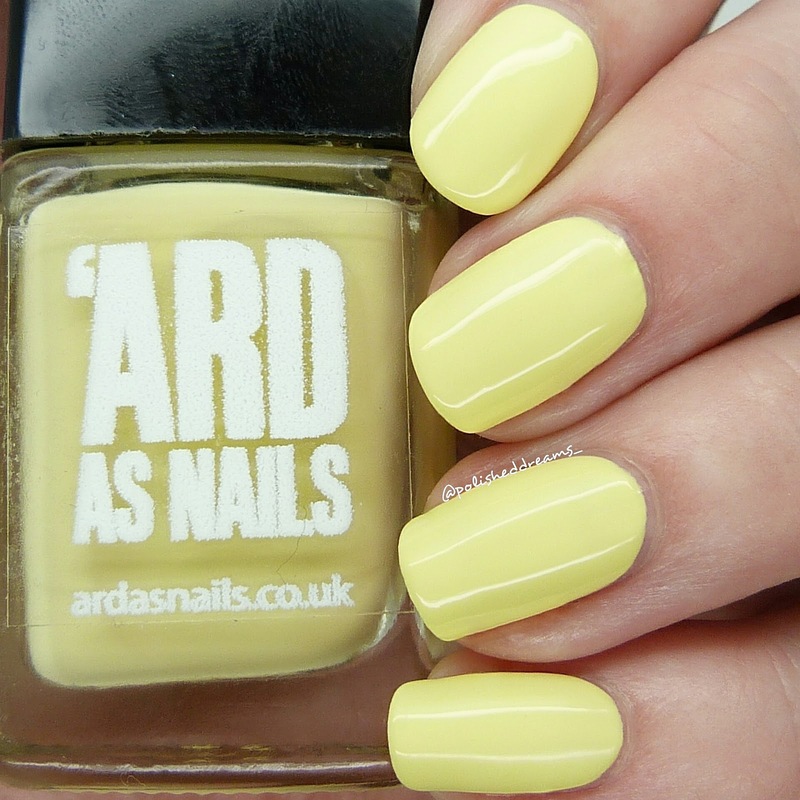 Daisy is a very summery pale yellow and I definitely know a few people who would love this! I have to admit, this was slightly more difficult to work with than the others and required four coats to cover any streaks. 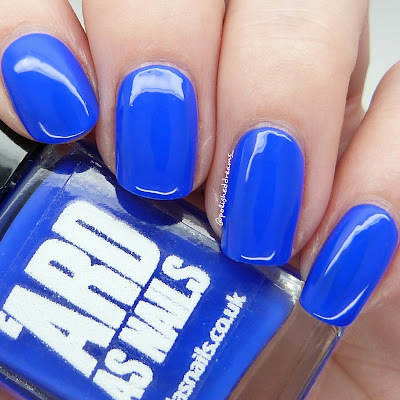 Despite this, it is a very pretty colour and you may find that I just had some dodgy application going on when I swatched this haha! Finally we have Freya and this is my favourite of the five. I do love pastels but a bright blue was one of my first polishes I got when I started becoming obsessed with nails again so it will forever hold a place in my heart. 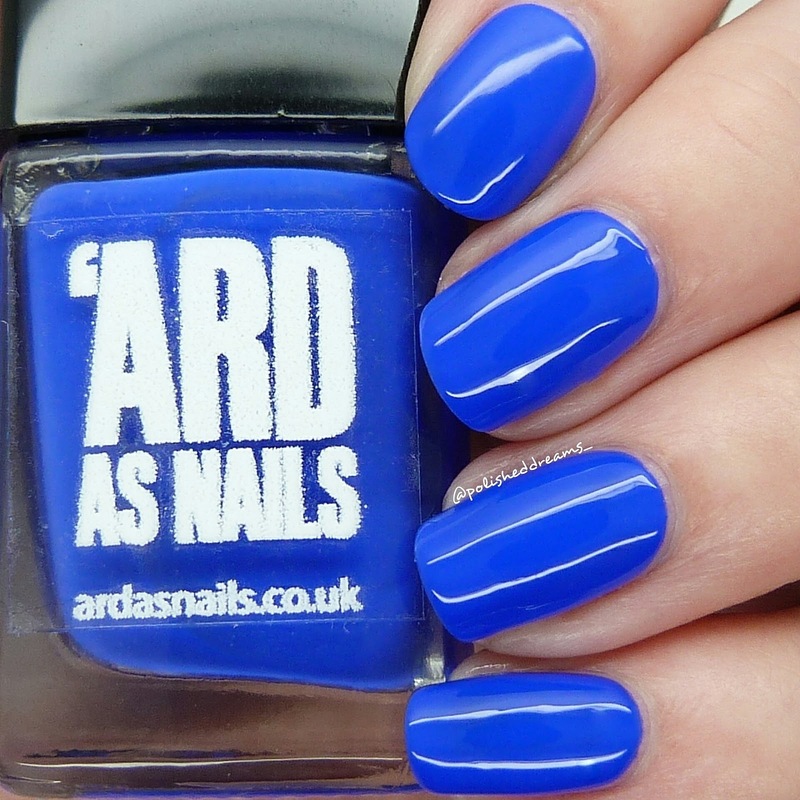 Of course this had a perfect formula and was just a joy to put on, making me love it even more! Shown here is two coats with topcoat. As always I was very impressed with these cremes. Since discovering indie polish I have bought less cremes but swatching all of these for Kat has totally made me fall in love again! 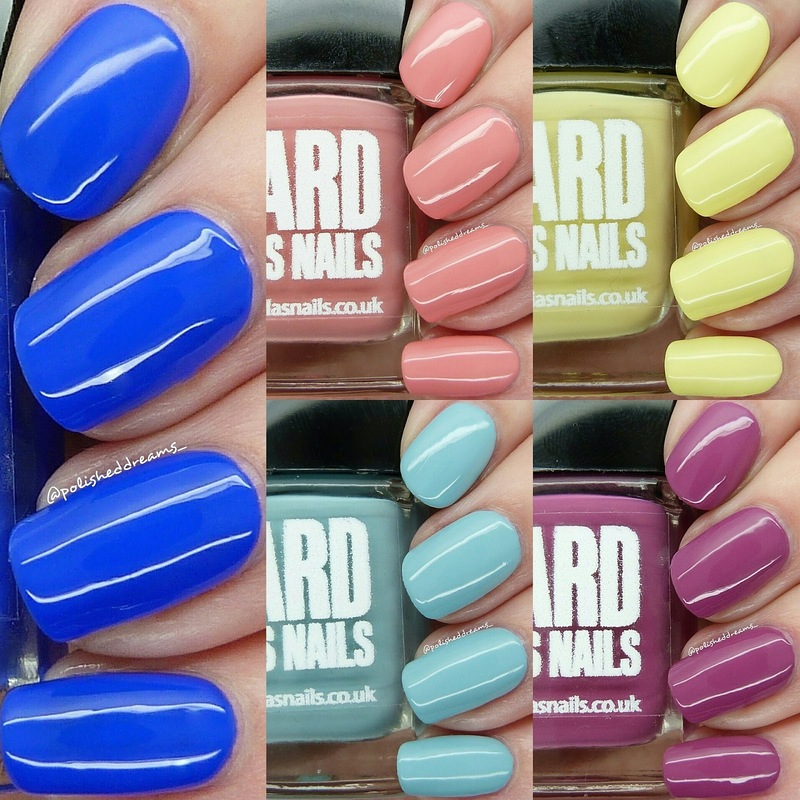 You can buy all five polishes from Ard As Nails now for an amazing price of £4.50 each or get five for £18. What are you waiting for? Head on over to her shop now! Don't forget you can also follow Kat on Facebook and Instagram for updates and previews of new polishes. Thank you Kat for sending me these! Haha I know how you feel with the whole blogging thing. I'm massively failing right now. I have to say I'm not too bothered by these colours buy that blue is amazing! Your swatches are gorgeous though, so smooth and perfect!